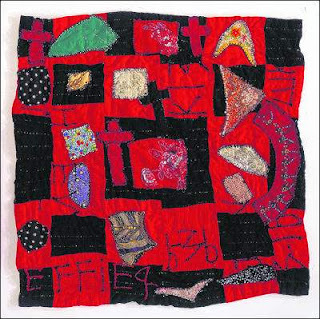 Something Pertaining to God: The Patchwork Art of Rosie Lee Tompkins is on display at the Shelburne Museum in Shelburne, VT. The show was curated by Eli Leon, who spent 20 years assembling his collection. He will talk about the quilts June 21, 2007 at the museum. The quilts will remain on display until October 28, 2007. Tompkins, whose real name was Effie Mae Howard, died in December, 2006. For more information visit the Shelburne Museum web site.